The purpose of this Standard is to provide design requirements which will improve utilization of energy in new buildings and to provide a means of determining the anticipated impact of that energy utilization on the depletion of energy resources. 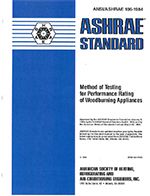 The requirements of this Standard are directed toward the design of building envelopes with adequate thermal resistance and low air leakage; toward the design and selection of mechanical, electrical, service water heating, and illumination systems and equipment; and toward the prudent selection of fuel and energy sources; all of which will promote effective use of depletable energy resources and encourage increasing use of nondepletable energy resources. It is intended that this Standard be flexible in order that designers be encouraged to use innovative approaches and techniques to achieve effective utilization of energy. 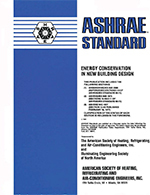 More effective use of energy may be achieved by the use of allernate design solutions, which follow the specific requirements of Sections 10 and/or II. Section 12 provides a method for calculating the quantities of energy resources required and the impact of on-site energy use on those resources. It is intended that this Standard be used in the design of new buildings and that compliance with its requirements should be determinable in the preconstruction stage, by evaluation and analysis of the design. 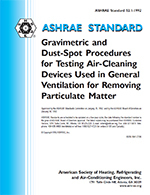 This Standard shall not be used to abridge any safety, health or environmental requirements. Where more stringent requirements exist in building and construction codes, those requirements shall prevail.